Project bases with The Fair Earth Foundation with which we have an association with local communities spanning several decades. 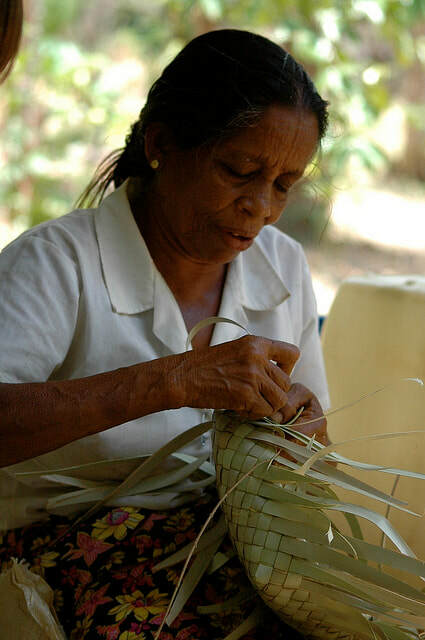 There are two opportunities in Sri Lanka, one based around the pottery village near Kegalle where all the women in the village have their own pottery wheels and kilns in their gardens (around 100 women! Supporting the whole village in the process!) and the other a craft village in the Hill Country supporting the artisan needs of the fabulous Temple of the Golden Tooth in Kandy. The proposed projects for funding will support a local manager, provide educational support in terms of library and books and Computer equipment and training in the local school and seed funding for at least one potential local enterprise. Funding the pottery village provides support for the community through its women folk, never a bad idea. Show any of these women a possible pottery product and they will recreate it before your eyes and proceed to have the village produce thousands of beautiful hand-made copies!! The artisan village is ancient and embodies a huge range of craft skills from working in glass, wood, metal, ceramics, lacquer and much more. It is an extra-ordinary place. As part of our on-going support for Sri Lanka we are currently working towards sending a container of tools to the country. True Fair Trading CIC buy its hugely popular glazed pots from an ancient pottery based in a Buddhist monastery accessed by a trek through dense jungle- fabulous! Old men on their high stools creating new designs, young men turning huge pots by hand and women glazing and decorating the pots as they have no doubt done for countless generations passed. The proposed projects for funding will support funding for a local manager, provide educational support in terms of library and books and Computer equipment and training in the local school and seed funding for at least one potential local enterprise. We have a long history of working in Vietnam, both on an educational level and through trading, (True Fair Trading CIC). They are an extraordinary people- proud, tenacious, resourceful, talented, hard-working, creative and with a wicked sense of humour! A. In the village of Dai Kat outside Hanoi where our project is based. Dai Kat is the village that grows flowers for the capital and is surrounded by fields of brightly coloured flowers all year around. 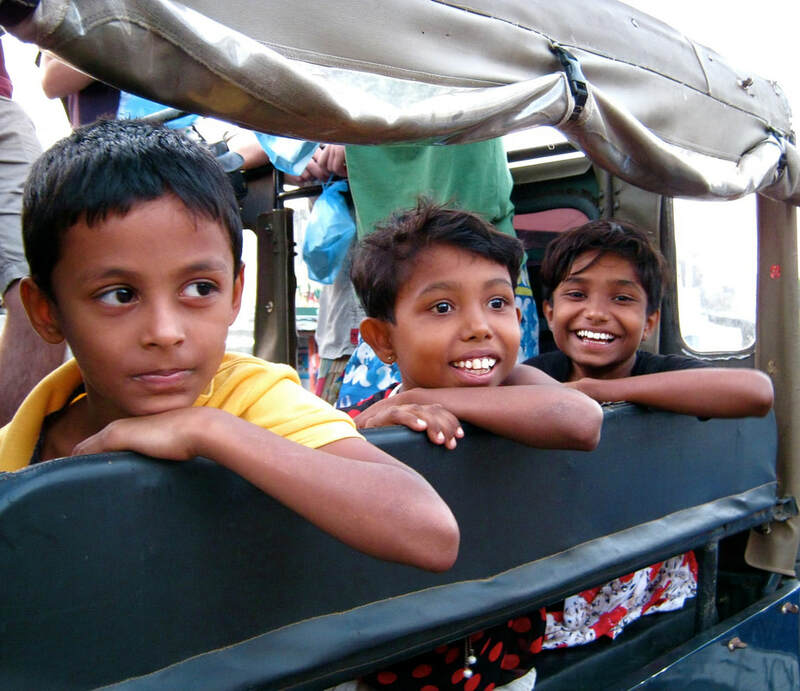 It is a very traditional village and a visit to the local fortune teller an experience never to be forgotten! The proposed project will support funding for a local manager, provide educational support in terms of library and books, Computer equipment and training in the local school and sports equipment. The local secondary school has a huge building for sports but absolutely no equipment. This is the village that produces Stone Like pots for True Fair trading CIC and we would be looking to seed fund at least one potential local enterprise in addition to the above educational work. A local seamstress is one possibility and a metal sculptor another. A key element of the programme in Dai Kat will to fund educational scholarships for at least twenty disadvantaged local children each year! B. Muong Hill Tribe. 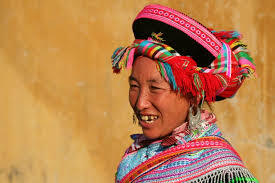 There are a diverse range of tribal communities in Vietnam known collectively as the Hill Tribes. 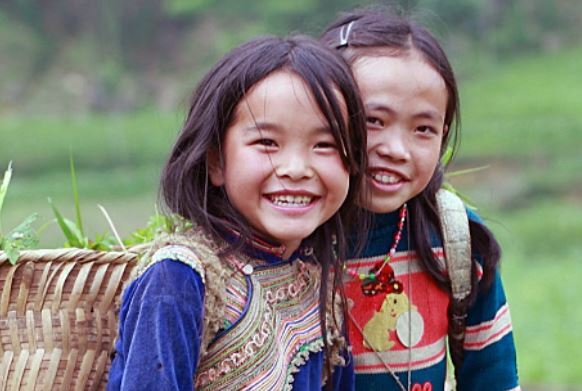 They maintain their own way of life and the Vietnamese government has always strives to support them in maintaining their culture. The proposed projects will support funding for a local manager, provide educational support in terms of library and books and Computer equipment and training in the local school and seed funding for at least two potential local enterprises. There is an urgent need to find ways to help these colourful and vibrant communities sustain themselves into the future. Helping to make their artisan skills more relevant to modern tastes would be a huge step in this direction. As part of our on-going support for Vietnam we are currently working towards sending a container of educational equipment to the country. 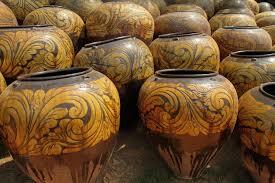 Again, there are two potential projects in Thailand based around two communities True Fair Trading CIC buys terracotta pots from. One in the North East of the country on the Laos border and one in the West on the Burmese border. In both villages ceramic production is the mainstay of the local economy but global competition particularly from the Chinese and more recently the Vietnamese is making life hard for villagers. The proposed projects will support funding for a local manager, provide educational support in terms of library and books and Computer equipment and training in the local school, and seed funding for at least one potential local enterprise. This was the country that I chose for my first educational field trip over forty years ago; I led a group of twelve international students to the country and had the most magical introduction to educational travel; it is a country dear to my heart. 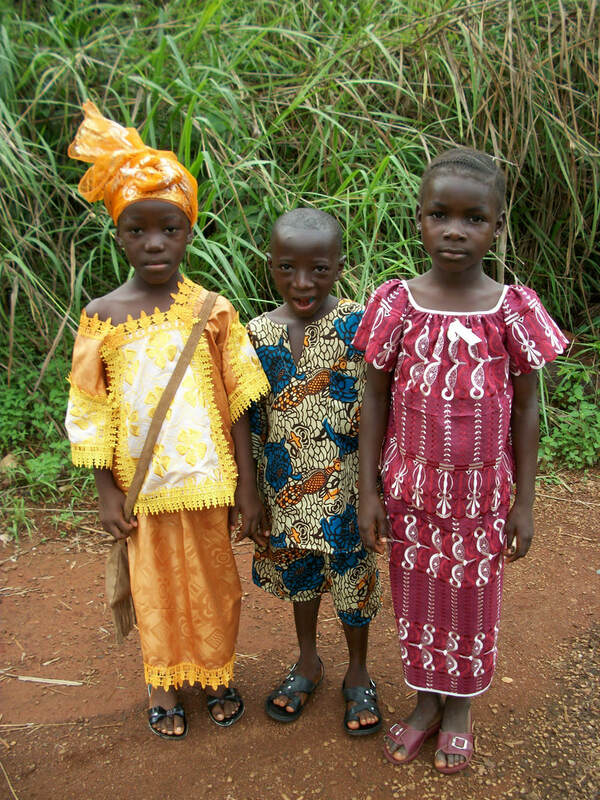 After the horrific war we based ourselves in a small village on the Freetown peninsular with a focus on enterprise development. We shipped out vehicles, push bikes to create a bicycle business, funded the building of ten small business units and micro financed potential budding entrepreneurs, retail space for a local market, constructed a chicken farm and send over 3000 chicks from Holland, build a beach bar for local youth for them to create an income from, built a restaurant and local bar (the local chief had a side line in the shape of a gin distillery- no one went blind!). We also funded improvements to the local school in terms of physical infrastructure- they had precious little equipment or teaching resource. We sent over a small quantity of books and the village children had to carry them to the community hall from the container when it arrived- within minutes they were all, dozens and dozens of them, sat on stones, under trees, on steps engrossed in the books they were supposed to be carrying- magical. The proposed projects will support funding for a local manager, provide educational support in terms of library and books and Computer equipment and training in the local school and seed funding for at least one potential local enterprise. 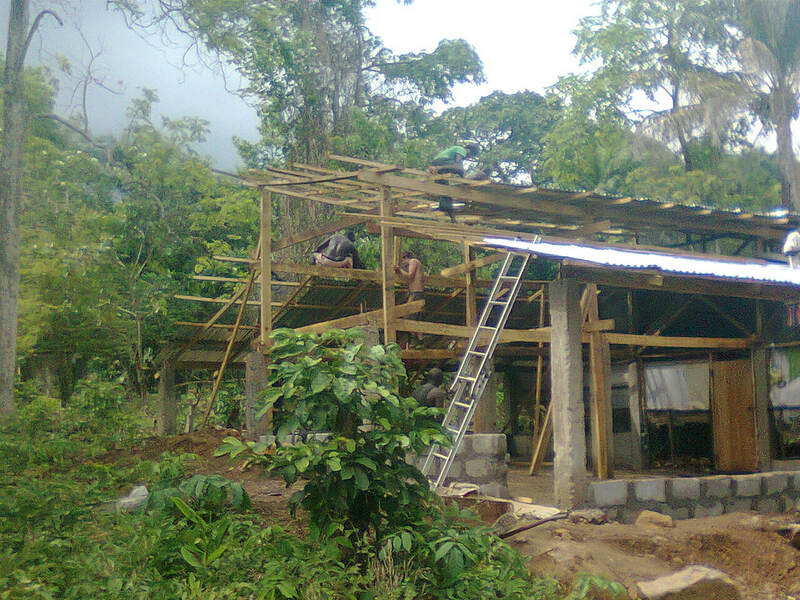 The great difficulty of working in Sierra Leone is the inept corruption….but, we have to try. Scholarships for further education are particularly important. As part of our on-going support for Sierra Leone we are currently working towards sending a container of bicycles to the country.